Break out the sunscreen, pool floats, and backyard burgers because this weekend is summer’s last hurrah, a.k.a. Labor Day here in the US. 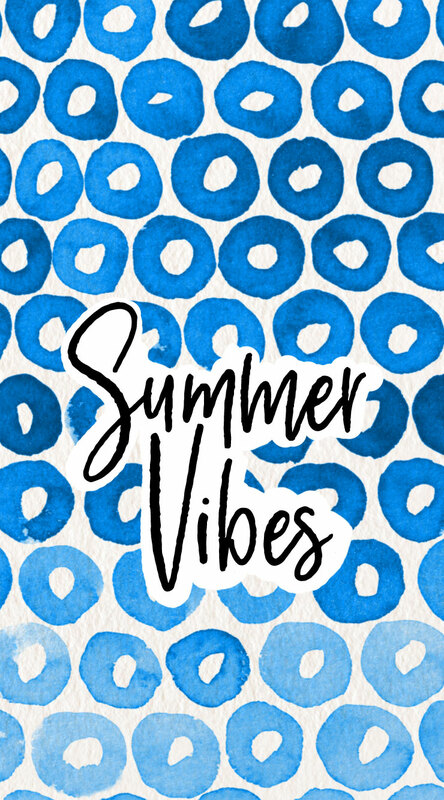 In celebration of my latest pattern collection, Indigo Vibes (behind the scenes peek here), I’ve got a fun freebie at the end of this post to help you to keep summer going past the September 1 mark. Yay! I get asked often how my business is going, and I’m unsure how to answer. To me, things are going swimmingly, moving right along in the direction I want to go. I haven’t “arrived” by any means, but I just keep putting one foot forward toward my goal of making a full-time income from my art. I just don’t know if I should start talking passive income and pattern collections and watch my friends’ eyes glaze over or just smile and say things are swell. One of those swell things just happens to be another step toward diversifying my income stream – I’ve opened a Shutterstock shop! If you’ve never heard this name before, Shutterstock is a website that offers zillions of royalty-free images. I knew Shutterstock offered photos, but I didn’t realize they also sell patterns and vector illustrations. Since I’m more of a stationery lover than fabric fan, and not everyone who loves patterns also loves to sew, I wanted a more mainstream way to sell my patterns. If you are into fabric, don’t worry! I’ve been enjoying steady sales on Spoonflower, and I have no intention of giving up fabric design any time soon. Here’s a shot of my shop on Shutterstock. Here you can see some of the Indigo Vibes patterns I have for sale as well as a sneak peek at some new prints I haven’t announced yet. I’m also adding photos a little at a time. Even though I wouldn’t call myself a photographer, I really enjoy photography, and I’m looking forward to adding some of my travel photography next to my patterns. So, what can you do with the files sold on Shutterstock? Microstock patterns can be used in printed projects, fabric design, wallpaper, screen backgrounds, graphics, and so much more. I mean, c’mon, Mermaid Vans or Mermaid Keds?! 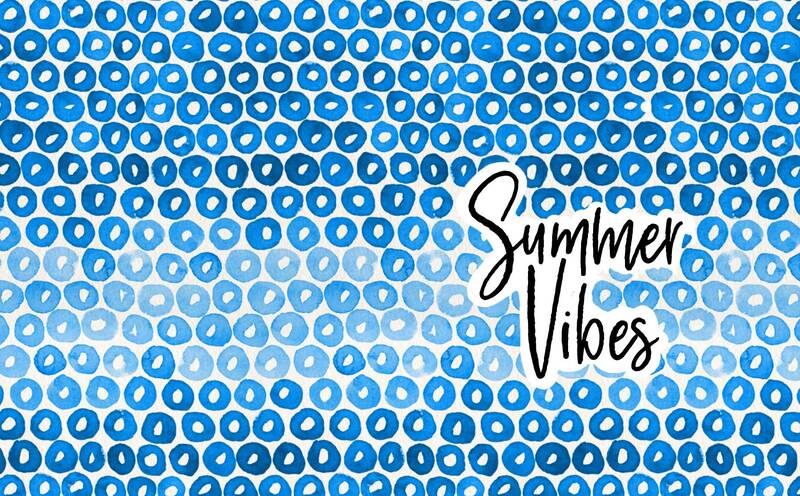 And, finally, as I promised, here is your Indigo Vibes freebie. Free stuff is THE best, and I intend to keep giving away a little something as often as I possibly can. Since this collection is so breezy and relaxed, I wanted to give you something to keep those summer vibes with you just a little longer. 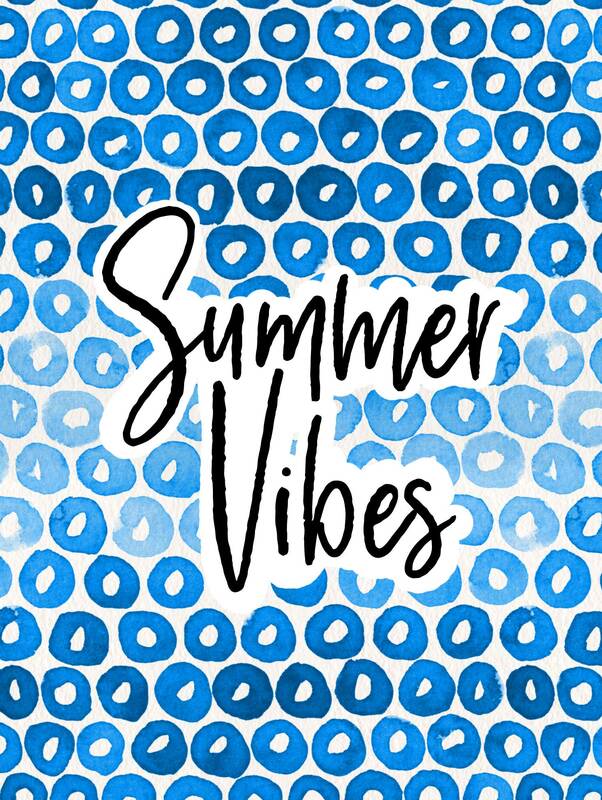 Yours for the downloading are phone, iPad, and computer wallpaper files with the cheerios pattern and Summer Vibes lettering. Download one or all of them using the links below. You could also print these out if you fancy. All Indigo Vibes wallpapers are free for personal use, but you may not resell or redistribute them in any way. Sharing is caring, and I’d love for you to pass these freebies along. Please link to this post, though, instead of straight to the file. As summer winds down, what is one thing you will miss as the air turns cooler? For me, I will miss my daily iced tea. I brew fruity herbal tea, add some honey, and drink that throughout my workday. The blast of subtly sweet fruit flavor really brightens my day. What about you? What’s your summer jam?